Loudoun County Economic Development’s Executive Director Buddy Rizer has been named a tech titan by Washingtonian magazine. Rizer is credited by the publication for making Loudoun County the world’s top location for data centers, through which an estimated 70 percent of global internet traffic now flows. When Rizer began his tenure in Loudoun County in 2007, Twitter had just been founded the year before, and Facebook had recently opened up its platform to the general public. Now the web traffic from those tech giants, along with Amazon, Netflix, Google, and a host of other consumer tech, are driving the need for more and more data centers. 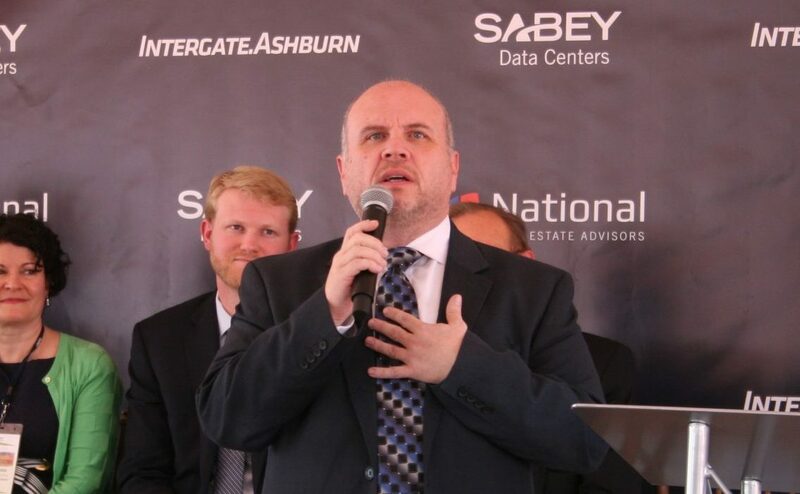 Loudoun County’s “Data Center Alley,” which is ground zero for the data center industry, has gone from a handful of buildings housing banks of servers in 2007 to more than 10.5 million square feet, hosting 3,000 tech companies today. Loudoun Economic Development has helped to bring in more than $6 billion in business investment and 5,000 jobs to Loudoun County over the last three years. Loudoun has been recognized as having the #1 economic development organization in America for counties of its size, and was reported to be #3 in job growth in the U.S. by the Department of Labor. Washingtonian will celebrate Rizer and the other 2017 Tech Titans at a special ceremony on May 24. To see the full list of 2017 tech titans, go to biz.loudoun.gov/RizerTechTitan. Interesting, these data centers don’t really bring in jobs; doesn’t take many people to run these. Ashburn has turned into a industrial park with all these data centers. They may be bringing in revenue to the private companies that are building these centers, but I don’t seethe tax revenue coming in. How much tax revenue are they producing? What concessions were given these companies? The Data centers bring a HUGE amount of personal property revenue. You know how in VA you have to pay like 4% on the value of your car every year? Well the data centers pay something like that on hundreds of millions of dollars worth of computer equipment. They’re actually one of the best land-uses for easing the burden on Loudoun taxpayers because unlike residential, they don’t add to school costs, and they don’t add much of a traffic burden either.